"Fatou Khan, whose first name is traditionally given to first born daughters in many Gambian societies, was born in the popular Swedish town of Uppsala in the year 1990. 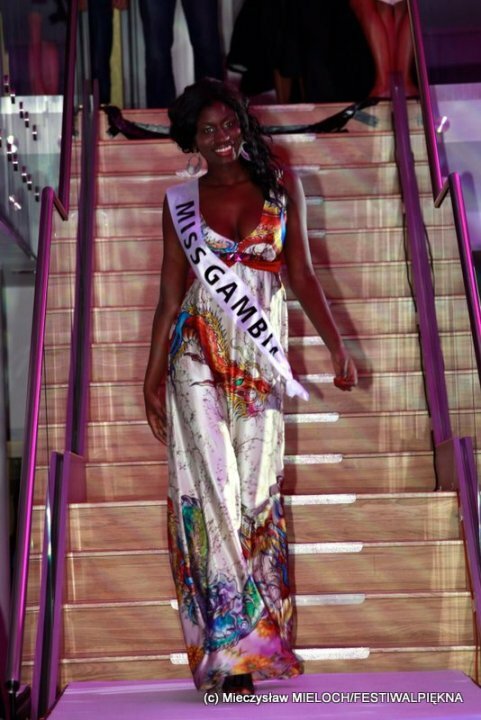 She is a bubbly and an elegant model, whose popularity is rising from day to day as one of most promising Gambian-Swedish model in the European fashion industry. 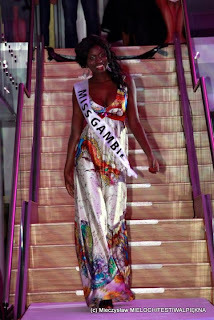 At the age of 1, her father requested that she should visit The Gambia with her mum. What started out as a short holiday to meet distant relatives, turned out to be a nightmare. Her father sent a message, surprisingly informing the mum that he is no longer interested in the marriage and they should remain in The Gambia. This was a turbulent moment for her mum. Things became worst, when little Fatou was hit in the face by a stone. With the assistance of the Swedish Consulate in The Gambia, she was able to return back to Sweden with her mum to seek treatment. “I almost lost my eye sight,” recalled Fatou. Although she had a terrible experience during her first visit to her parent’s native country, the sprouting top model has always felt strong ties to her Gambian roots. She visited the country many times and is seriously involved in African activities in Sweden. Fatou’s career as a model took off at the age of 14. She was on a sunny summer stroll in the city of Stockholm, when a photographer noticed her impressively attractive body. He managed to convince her to explore the fashion industry. The photographer took some pictures of her and they were sent to one of the popular modelling agencies in the Swedish capital called Stockholmsgruppen. They invited her to work as a teen model for them and she accepted the offer. Since then she has been frequenting the runway, capturing the attention of designers, photographers, journalists etc. Tee Teey is a young , vibrant, talented radio personality based on the Copperbelt in Kitwe. I'll take this opportunity to thank me magazin for your excellent support. ...I appreciate all of your very timely help.